Transport firm Belle Vue Manchester is adding its muscle to a campaign which encourages Stockport youngsters to be more active. Belle Vue, based at Discovery Park, Crossley Road, Stockport, has become the first corporate partner of the campaign launched by Life Leisure, which operates sports and fitness centres across the borough. The drive, called Life Leisure Kids, is aimed at youngsters aged from five to 13 and features weekly classes at four centres, in activities ranging from Zumba and cheerleading to weightlifting and soccer. Classes take place at peak times to fit in with the periods when parents are able to work out in the gyms. Membership of Life Leisure Kids – which costs £12.99 a month – also includes free swimming sessions and discounts off holiday camps and birthday parties. Belle Vue’s partnership with Life Leisure has the strapline ‘Keeping Your Kids Moving’. Belle Vue director Phil Hitchen said he was shocked by a recent national report which showed just 21 per cent of boys and 16 per cent of girls are getting the recommended level of physical activity. He added: “As a key partner for schools and school swimming lessons across Stockport, we keep the kids moving safely and we are pleased to form this partnership with Life Leisure. Life Leisure’s marketing manager Laura Mylotte, pictured with Phil Hitchen, said: “We are delighted to be working with Belle Vue in Stockport as we campaign to encourage youngsters to be more active through Life Leisure Kids. “Belle Vue safely transports thousands of children to and from swimming lessons across Stockport and beyond, and its commitment to providing for children is very much aligned to that of Life Leisure. 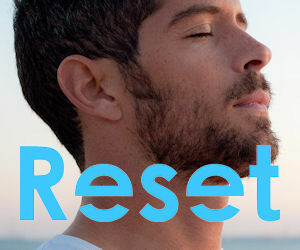 “We are passionate about getting kids to adopt healthier habits and to exercise more. 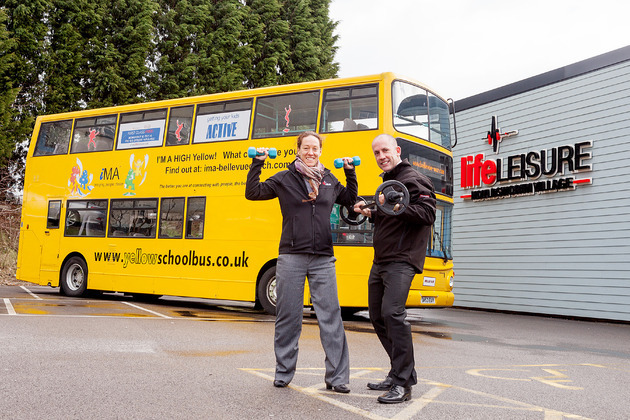 Life Leisure is publicising its campaign on 13 Belle Vue school buses, and in return the company is being promoted on radio and TV in the gyms, and on advertising boards around the all-weather pitch at Stockport Sports Village, Woodley.